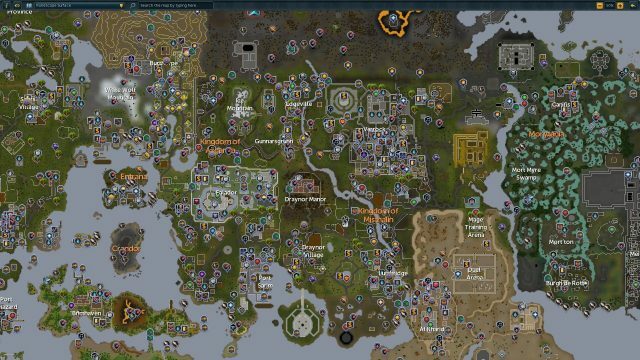 In the not-so-distant future when our children’s children are learning about the history of video games inside their virtual schools from the comfort of their AI-controlled homes, it is my hope that RuneScape is included. Looking back, the (mostly) free-to-play fantasy MMORPG was surprisingly ahead of its time, introducing and popularizing features like free-to-play, pay-to-win, browser games, subscriptions, and more. It’s an oddly charming MMO that’s still going almost 17 years after its humble start. For those of you that are reading this now, it’s even possible that it was your introduction to MMOs like it was for me. RuneScape grabbed me at such a formative time in my life, helping me to develop a love for RPG’s when I had only played Pokemon prior to it. Let’s go back in time to a period in which there was dial-up internet that was interrupted by every single phone call, online chat rooms were all the rage, and multiplayer was still relegated to split-screen and LAN parties. It was at this time that impressionable 10-year-old me had access to PeoplePC internet for one unforgettable summer of RuneScape. While others my age were learning about sexuality through Yahoo! and AIM’s online chat rooms, I was losing my digital virginity to a random stranger on RuneScape. Sure, role-playing as a mage or blacksmith was fun, but everyone knew the real action happened in the private chat. Many like myself would sit in the opening town of Lumbridge or the huge capital city of Varrock, shouting in chat in hopes of meeting some new friends. Not unlike the sexting of today, I attempted to sharpen my witty banter and skill through my use of very “mature” language and early attempts at coding the in-game text to appear wavy or rainbow-colored. It was through these weird times that I met quite a few notable characters. The two that I still vividly remember are two sisters that I met while playing. One was around 11 or 12, while the other was 14. An awkward, virtual love triangle developed between the three of us, as I embarked upon something of a long-distance first romance with the older sister. My escapades with this older girl gave me much to ponder on as I reached my teen years. Alas, it only lasted a short couple of months as our family simply couldn’t afford to keep the internet once I went back to school. When I finally was able to log back in a few years later, they were nowhere to be found. Even still today, I am certain their names sit on my friends’ list, never logging back in to see the several messages I attempted to send them. 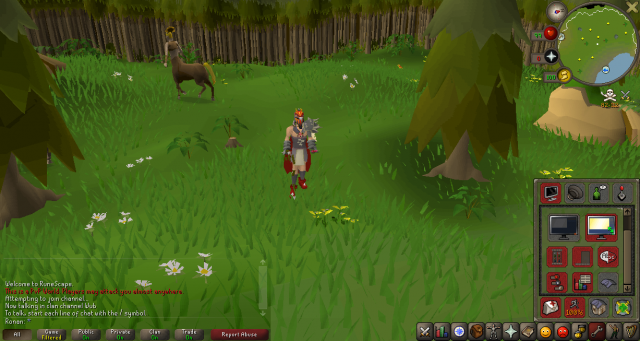 Even though this chapter had concluded and I wouldn’t get internet at home again until my senior year, my time with RuneScape was just beginning. Despite not having internet for several years at home, I quickly discovered in middle and high school that I could bypass the school’s security (a story for another time) and access RuneScape. This led to me completing my work as fast as possible, so I could escape to the school library for a bit of gaming. 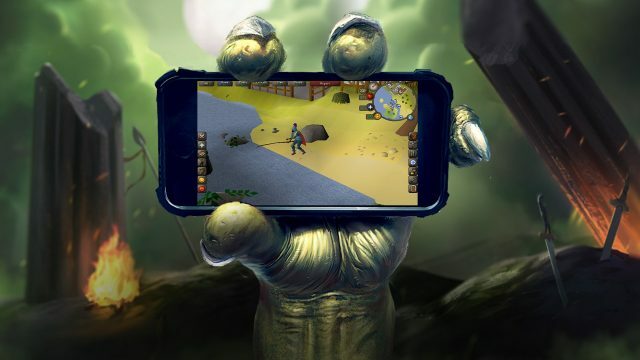 In fact, RuneScape was the first “mobile” game for me; mobile as in short bursts of gameplay. I was only able to sneak in 10-minute chunks of gameplay once or twice a day at school, but it was worth it. This led to me scheduling and planning ahead what I wanted to do. One day, I might grind a few levels and the next, I would sell items to other players. Quickly, I discovered this feature that many players would come to loathe today called “pay-to-win.” RuneScape notoriously had a membership subscription that granted a ton of benefits that were pretty unfair. Not only did members get their own exclusive servers, but they had access to many extra useful skills, armor, and ways to make money that gave them too much advantage over free players like myself. Being that my family couldn’t even afford internet each month, there was no way to pay for a subscription. While members boasted online about the millions of gold they had, I was struggling to gain even 20,000. This led to me resorting to some questionable methods of achieving loot and gold. Veterans of Runescape will undoubtedly remember the Wilderness. 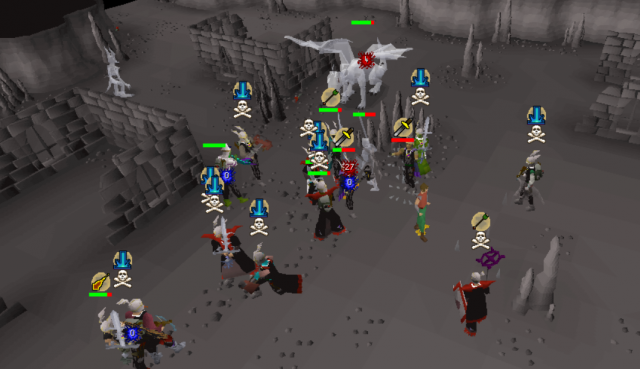 The Wilderness is RuneScape’s most infamous feature, a player-versus-player area where anything goes. I would go to low population servers, hide out where unassuming players would be and trick them to come with me to the Wilderness using the seduction of free money or items. There, I would kill them and take their hard-earned possessions in the process. It was a vicious method that I, too, had experienced when I first started playing. Being a player killer in RuneScape would cause a skull to appear above your head for everyone to know what you’ve done, but I wore it with pride. Though I was offered the chance to join groups that specialized in this, I enjoyed my persona of the lone player killer. This created a steady cycle of killing players for loot, putting it safely in the bank, getting killed by rivals, losing precious money, and so on. It would continue for years until I finally stopped playing towards the end of high school. RuneScape is a game that I’ve come back to many, many times and the most recent return was almost two years ago. I was excited to rejoin such a game I hold dear… only to discover that I had been banned. Over the years, there had been countless times that I was muted or temporarily banned, but this one was permanent. It was surprising considering the date of my ban was at a time that I hadn’t even logged on at all. I realized that I had been hacked and whatever the hacker did to my account resulted in the permaban. This was disappointing, but I had no choice but to create a new character. I frequently used the free character, calculating and using the Grand Exchange auction house to collect a million gold in only two weeks. It helped that I had downloaded a program that innocently enhanced the gameplay and made calculations easier. Little did I know that such a simple program that did nothing to actually change the game or give any significant advantage would result in a swift permanent ban on my new account as well. Fortunately, I was able to overturn the ban as Jagex seemed to think someone hacked my account. I was grateful for this and have attempted to do the same for my original account, but it has strangely been unsuccessful thus far. Regardless, it’s telling that a game like RuneScape with all of its quirks and issues still keeps me coming back almost 15 years after I first fell in love with it, and I’m still not done yet. With the upcoming release of a mobile version, you can bet your gold I’ll be all-in on day one.